In morning incident, Lebanon disputes Israel’s placement of concertina wire along Blue Line separating the two countries; UN troops on site keep peace. Rifles drawn, Israeli and Lebanese troops verbally sparred over Israel’s placement of concertina wire along the border line separating the two countries Monday morning, as part of an ongoing IDF effort to find and destroy cross-border attack tunnels. 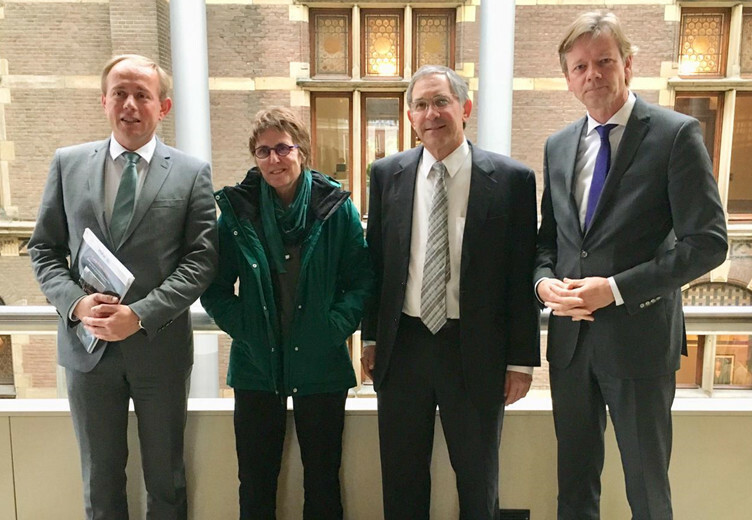 Dutch parliament passes motion to cut funding to PA 3 weeks after PMW lecture exposing PA’s terror rewards. (Image, right) Georgetown University in Qatar. Ismail Haniyeh, Hamas’ political chief, said in a speech at the rally that a technological device had been seized from the Israeli military after an undercover operation in Gaza was exposed last month, resulting in the death of an elite Israeli soldier and seven Palestinians and sparked the most severe escalation in violence between the sides since a 2014 war.